﻿ What is fly fishing specialties? What is Fly Fishing Specialties? Fly fishing specialties is a long history company.It is an owner-operated fly shop doing business in the Sacramento area since 1980. Over the past 30+ years, they have grown to be one of the largest fly shops in Northern California. They carry premium fly fishing equipment and accessories from all of the popular names in the industry including Sage, Simms, Patagonia, Winston, Tenkara USA, Umpqua Feather Merchants, Adamsbuilt, Abel, Hardy, YETI, GoPro, Fishpond, Pro Tube, Rio, Costa, and many, many more! If you're fly tyer, then look no further for materials. 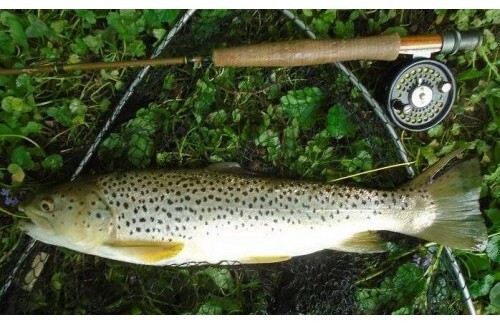 Compare with fly fishing specialties, which one is more better for fly fishing anglers? They have a whole products line like wading gear,hooks,Gopro,tenkara,Dvds. Compare to them,Maxcatch is a new brand company and with a professional fly fishing tackle product line. Try something new is fly fishing anglers habit.